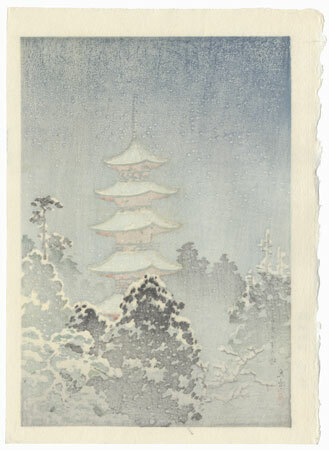 Comments - Beautiful winter scene of the towering five-story pagoda at Nikko during a snowfall. 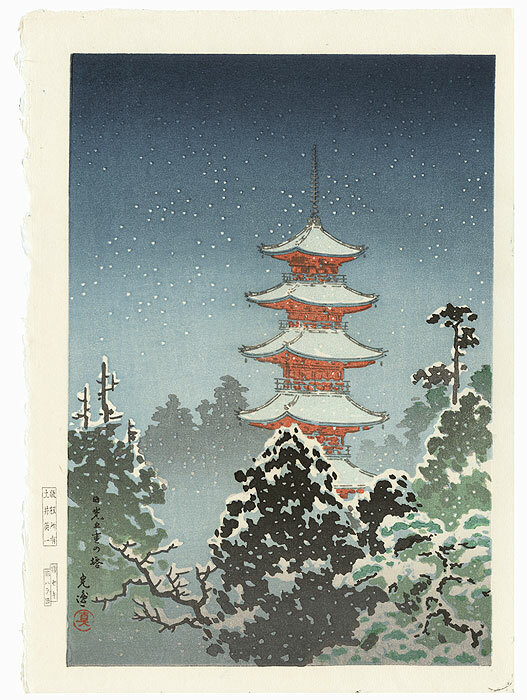 White flakes drift gently through the night sky, settling on the pine trees framing the view. The colorful red spire stands out against the lovely muted tones of the sky and the silhouetted trees. 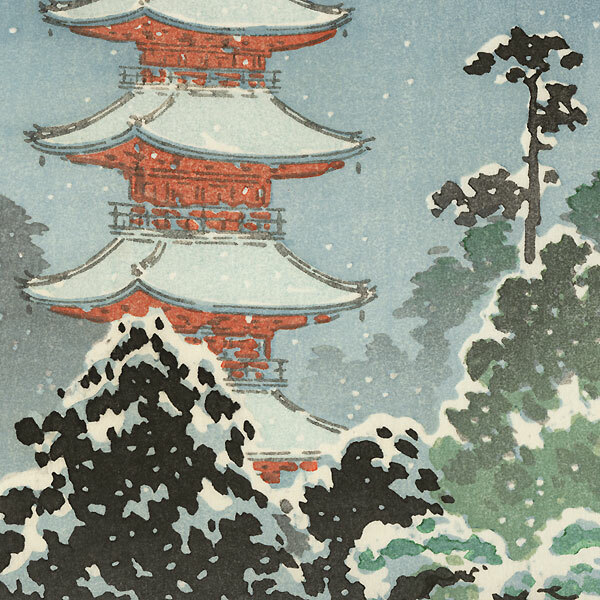 A wonderful design with soft bokashi shading.